Nikolaos Plastiras was a military and political personality with a significant presence during the first half of the 20th century. He was born in the village of Vounesi (present-day Morfovouni) of Karditsa, on November 4, 1883. He fought in the Struggle for the liberation of Macedonia and participated in the Goudi coup (1909) that reinstated the government of Eleftherios Venizelos. 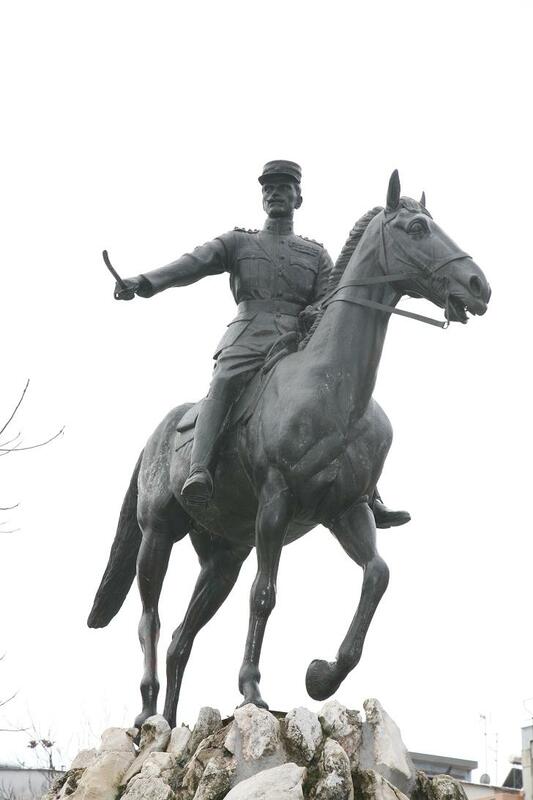 In 1912, he fought in the Balkan Wars and distinguished himself in many battles. In the Battle of Lahanas, his comrades nicknamed him “Black Rider”. 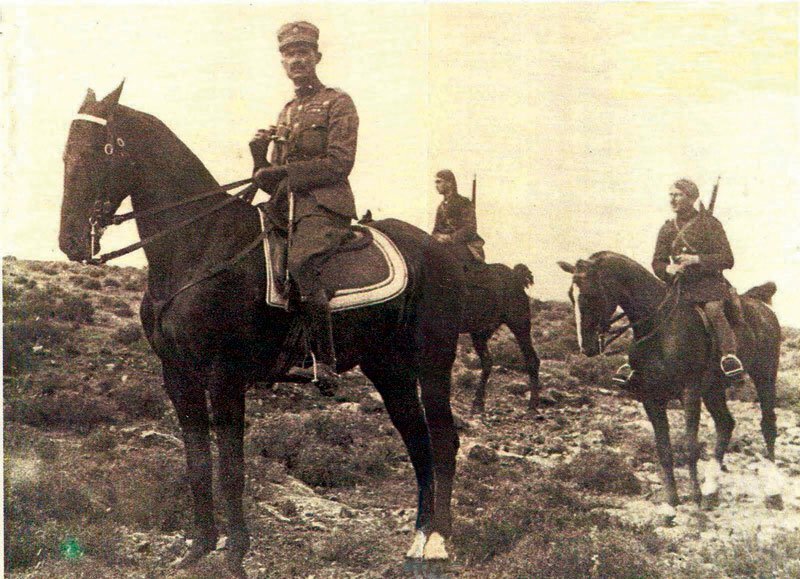 During the period of the National Division (1916) he supported Eleftherios Venizelos and joined the National Defense Movement. In the Asia Minor Campaign, he distinguished himself during the Turkish counterattack at Sakarya river, which caused the collapse of the Greek Front. After the destruction of Smyrna, he participated in the creation of the “Revolutionary Committee” which forced King Constantine I to abdicate in favor of his son, George II . Plastiras recalled Eleftherios Venizelos from exile in order to lead the Greek delegation in negotiations with Turkey, which led to the Treaty of Lausanne (1923). Between 1924 and 1933, Nikolaos Plastiras lived in Greece and in Italy. When the “United Opposition” party, which was against Venizelos, won the elections of March 6, 1933, Plastiras tried to avert the change in government with a failed coup. Faced with the possibility of criminal prosecution for treason, he departed in secret and established himself in Nice, France. Ultimately, he was not prosecuted for the failed coup, but for the pro-Venizelos coup of March 1, 1935. Although he was not in Greece, he was sentenced to death, along with Venizelos. During the dictatorship under Ioannis Metaxas, he played a leading role in the establishment of the anti-dictatorial movement. Following liberation from the Nazi occupying forces and the events of December 1944, Plastiras was appointed Prime Minister. His government included members from the entire political spectrum except communists. During his premiership, the Agreement of Varkiza (1945) was signed, with which the communists and the National Liberation Front agreed to surrender their arms. The publication of a letter with which he proposed surrendering to the Italians during the Greek-Italian War caused his resignation on April 10, 1945. During the Greek Civil War, he did not participate in politics. When the conflict ended, he founded the National Progressive Center Union (EPEK) with Emmanuel Tsouderos and following the elections of March 5, 1950, he formed a coalition government with Georgios Papandreou Sr. as vice-president. Although this government endured for only five months, it implemented measures limiting the prosecution of leftists. In the September 9, 1951 elections, the EPEK came in second behind the “Greek Rally” of former general Alexandros Papagos. A coalition government was formed under Plastiras, which implemented measures for the reconstruction of the country including infrastructure projects, nationalizations, social benefits, land redistribution and the vote for women. In the November 16, 1952 elections, Plastiras’ appeal to the parties of the Left to join forces fell on deaf ears. The EPEK suffered a crushing defeat and split up. Plastiras’ political career ended, and so did his life a short time later, on July 26, 1953. Nikolaos Plastiras was an accomplished military man, an honest politician and an exemplary person, beloved by the people. The artificial lake of Tavropos river, that he first envisioned, was named Lake Plastira in his honor.